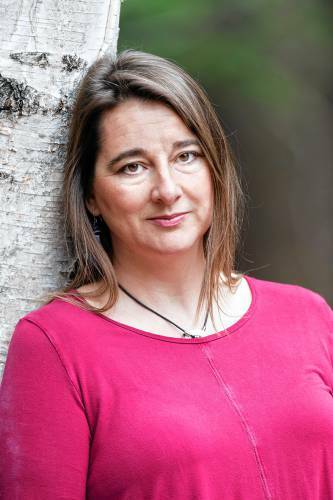 But a book released this week by Amherst College associate professor Lisa Brooks, an Abenaki, depicts the prolonged war on a dozen settlements throughout much of the region as more complex. And it’s seen as the result of mistaken assumptions English settlers made about the native tribes. What’s more, Lisa Brooks’ “Our Beloved Kin” (Yale University Press) is based on written letters and other materials written by those Indians, who are largely assumed to have been illiterate. And the creative, readable telling by this associate professor of English and American studies she describes as a relevant and timely interpretation, suggesting the plight of refugees and racial profiling. Her history, which traces the interwoven paths of three characters — Wampanoag leader Weetamoo, who as a woman is less known than Metacomet (aka King Philip); James Printer, the persecuted Christian Nipmuc; and Mary Rowlandson, the Puritan woman whose own account of her capture in Lancaster is recast in this deeper interpretation. Read the full review by Richie Davis in the Greenfield Recorder. This article also appeared in the Hampshire Gazette on 1/25. Reblogged this on lara trace hentz. Been a long time since I studied this as “the First Indian War” in Canadian history. It seems to me that Earthian history is primarily made up of wars. It sure seems that way. People fear change; people haven’t changed much. It is available now, direct from Yale University Press or Amazon.